With any injury to your child's mouth, you should contact your us immediately. We will want to examine the affected area and determine appropriate treatment. If your child is in pain from a broken, cracked or chipped tooth, you should visit the us immediately. You may want to give an over-the-counter pain reliever to your child until his/her appointment. If possible, keep any part of the tooth that has broken off and take this with you to the dentist. If a tooth is completely knocked out of the mouth by an injury, take the tooth to your dentist as soon as possible. Handle the tooth as little as possible — do not wipe or otherwise clean the tooth. Store the tooth in water or milk until you get to a dentist. 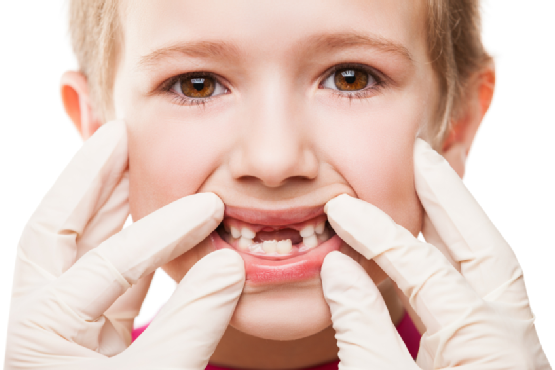 It may be possible for the tooth to be placed back into your child's mouth, a procedure called re-implantation.